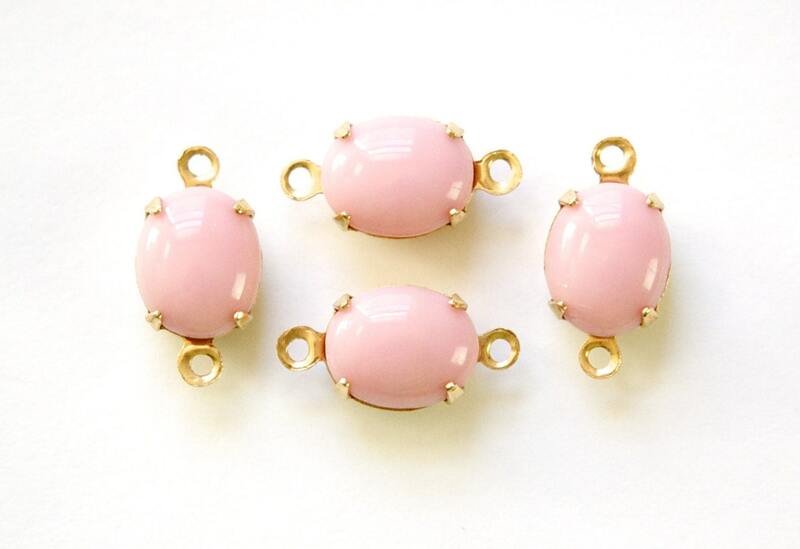 These are vintage glass stones done in an opaque pink color. These are set in a two loop brass setting. The stones measure 10x8mm. You will receive 4 of these. This is one of several items purchased from this shop. Absolutely lovely stones. I purchased them just because I liked them, but now I cannot wait to start working with them. Plus, extra super fast shipping. Thanks! Great shop and fast service!Thanks! Very nice, fast shipping Thank you ! !